Remembering my first skydiving experience in 2013. At an exit altitude of 10,000 feet, the free fall reaches a speed of 120mph – what an excitement, what a thrill! 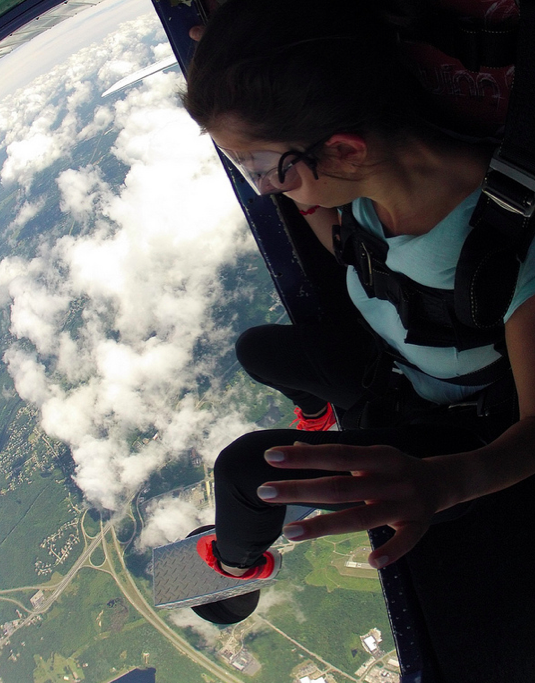 A pure adrenaline rush… Even a year after I still sense that electrifying feeling throughout my body. Warmly recommended!